Originally a dancer by training—she holds a BFA– she wrote poems when she was young and made her friends reenact scenes from plays. “I always called myself a storyteller, and as the basis of this craft, my main goal is to be in control of how people feel and give them an experience that allows them to feel something with me,” she told us. Cunning and House of Yes have had an artistic relationship for the last couple of years, since they both come from the nightlife and high-art scenes. Cunning has performed in several of their events, and she credits Sapozhnikova for pushing her in her performances. For example, she recalls being asked once “I thought it would be really great if you did this coming down from the ceiling; you’re not scared of heights, right?” for a performance Even though she was, she went for it anyway. 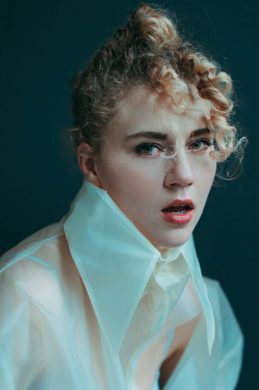 “House of Yes really pushed me to do things that I am afraid to do; the only way that you can convince me to do anything is if it’s connected to performing, and if I have a story to tell,” Cunning said. “CNTRL,” Nov. 8 at House of Yes; tickets $20-$60.